The real challenge to achieve a Digital Single Market are Europe’s many languages. It’s amazing how politicians, but also businesses, have overlooked this. We often don’t notice how hard it is for software to process language, because it’s so natural for us humans. We focus instead on how stupid computers are not to be able to do what we can do. Yet Language Technology (LT) is already quite big with the US companies hiring LT people where ever they can find them. In Europe, we have around 2,500 SMEs in the field of language, knowledge, and interface technologies and over 5,000 companies providing language services. Globally, language technology is valued at around €26 billion. Artificial Intelligence and Big Data are key drivers for the projected doubling by 2020. We will talk to robots as well as the Internet of Things in our own language and not key in commands. Most Big Data is unstructured, i.e. text, which, in Europe, is historically multilingual. In the EU all AI applications in IoT and Robotics as well as all digital cross border traffic must deal with our multiple languages. These game-changing technologies, though, are today largely available for English-speaking citizens and consumers only. Worse, even a “trivial” problem like a simple product search does not cross borders. 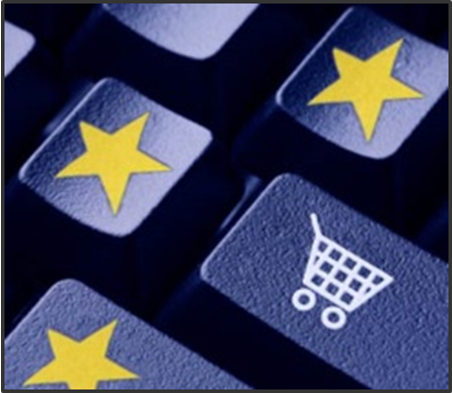 Recently, European Commission VP Andrus Ansip nicely summarized the essence of the Digital Single Market (DSM): “Consumers need to be able to buy the best products at the best prices, wherever they are in Europe.” Well, if one of his compatriots searches for, let’s say, Muruniidukid, she is already trapped in a language silo and thus limited to national market offers. We will only get a true DSM for all Europeans if the 24 official languages (and these of our major trading partners) are supported in the same base quality. This requires a public infrastructure for basic Natural Language Processing. Public, because industry cannot build and maintain it profitably for lesser spoken languages. A good home for this could be the EU CEF. On top of this, infrastructure companies would be able to build horizontal technologies such as machine translation, speech recognition, voice generation, and sentiment analysis. Language Technology is a wide field, dominated by SMEs, fragmented by language. This makes it hard to discover LT, to try, and to buy it. The key initiative of the European language technology industry is therefore the creation of the LTI Cloud. This SaaS wrapper functions as a marketplace for various language technology components. The LTI Cloud will enable software companies to build solutions for the whole ‘Multilingual Digital Single Market’. In a recent article the Washington Post mocked Europe’s DSM efforts by stating that Europe’s digital decline is actually accelerating! Not necessarily. Why don’t we turn Europe’s multilingualism into a unique selling point? Single Market supported by cross-border eGov interoperability, I would argue that we will in fact become the fittest for the global market. This is an adopted article originally written by Jochen Hummel and published on Tech.eu. He is co-founder and CEO of Coreon GmbH. Our tag line is ‘Knowledge meets Language’. The unleashed synergy between these two fields is what highly motivates us. We believe that Multilingual Knowledge Systems are the information infrastructure for today’s most challenging IT fields: Interoperability, Globalization, and (Product) Search. This is really a great informative post. I agree that language technology is a wide field, dominated by SMEs, fragmented by language. This makes it hard to discover LT, to try, and to buy it. Thanks for sharing this post. This content creates a new hope and inspiration with me. Thanks for sharing article like this.